Decent bass response: many headphones are bass-heavy intentionally, as they are intended for the hip hop, new bass & dub step enthusiast – Just be careful here, since your ears fatigue easily and will play tricks on you during mix sessions. Comfort: you’ll likely be wearing these for months, so make sure they don’t rub or pinch or apply unnecessary pressure – Trying them on in person is a start, but you’ll never really know until you’ve had them on for 8 hours. The moment you start to feel soreness in your outer ears (cartilage) or on the top of your skull, you’ll wish you had a different pair. Note to those living in California: you cannot trade or sell a used pair of headphones at Guitar Center due to state law – learned this the hard way – something about bed bugs. Gross. Adjustability: you may or may not want a swivel hinge for single-ear DJ monitoring, but definitely buy a pair that can be extended in height for a custom fit. Durability: it’s not uncommon to drop or step on headphones, or to quickly yank them from your neck. Make sure yours can take a beating. I prefer those that have a rubberized finish, and have heard horror stories about hinges snapping. Mono switch: this is a great feature if you like to DJ “telephone style” (cradled between the neck and shoulder, using one earphone only) – Enabling the mono switch doubles a mono signal to each ear; if you’re monitoring on a booth PA, there’s no guesswork with your timing with wider tracks, or those with delays and added reverb. Not to mention, mixing down in mono is an amazing technique I’ll be discussing later. 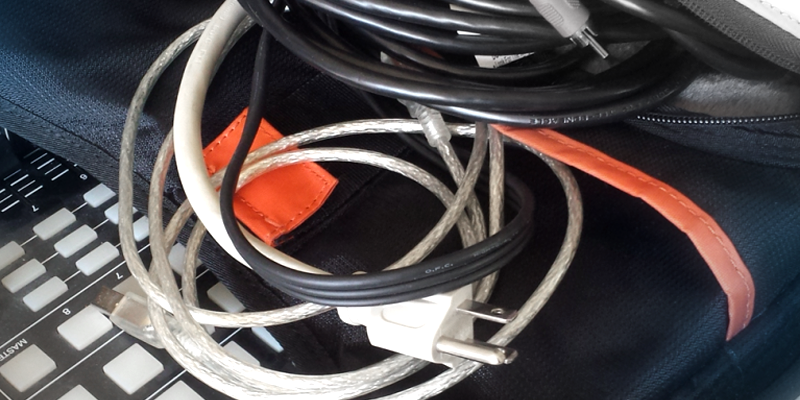 Connections: consider quick-connect and replaceable cables, and make sure they ship and/or work with universal 1/4″ to 1/8″ adapters. Coiled cable: like an old telephone cord, this adds extra length (sometimes double) and stretch in a compact space – plus it gives you the flexibility to move around without being tethered too tight. Regarding batteries: if your cans require batteries to run, make sure you have extras on-hand and ever ready (ha) – Imagine losing juice during a live set – no bueno. Although noise canceling models can be desirable in certain situations (airplanes, cubicles), I’d recommend traditional line powered headphones for gigs and studio time. Price: good headphones can run anywhere from $50 to $500 (and well beyond), so set a budget, go to a store, and listen to a variety of brands across various price points. Bring some music you frequently listen to (via phone, USB or CD) to mimic your day-to-day listening. It’s incredible how amazing headphones sound in the store, only to find they’re don’t deliver once you get home. 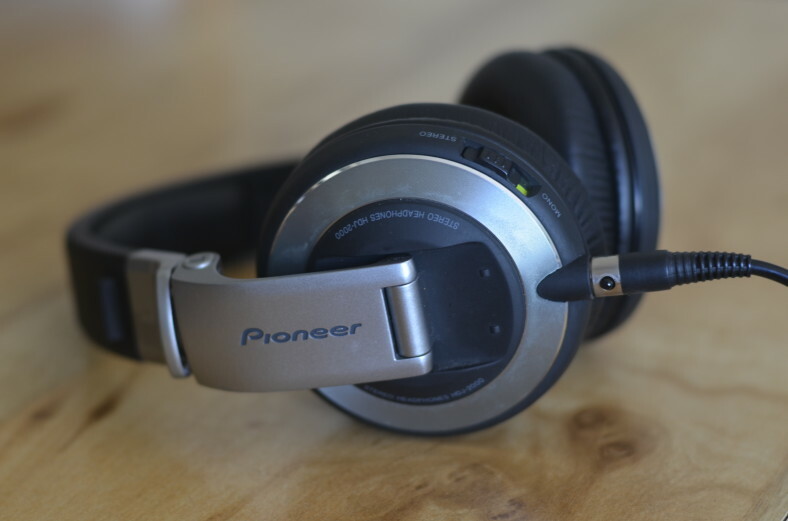 I’m very happy with my Pioneer’s, and they’ve held up well over the past two years – from my studio in and out of my DJ bag. Their range is great, but I did end up modifying them with some additional foam padding in the cans, after a long late night session that left my ears sore to the touch. As I had alluded to earlier, customers don’t have the luxury of trying them on for 8 hours at the store to know if there will ever be an issue. If Pioneer isn’t your thing, definitely check out what Behringer, Sennheiser, Sony and AIAIAI are offering.